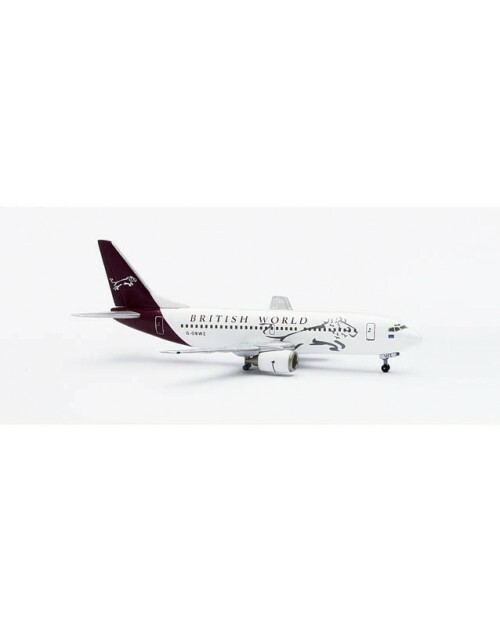 1/400 scale die cast Herpa Wings British World Boeing 737-3Q8 with final color scheme. Registration: EG-OBWZ. Item # 560313. Released in January 2004. Dimensions: Length: 2 15/16 inches (7.5 cm), wing span 2 7/8 inches (7.3 cm).